Stanley town is located in County Durham and is just 10 miles from Newcastle City centre, Stanley is seen as part of the greater commuter belt. Housing prices in this area is very affordable and many first time buyers look to Stanley for their first property, while still working in Newcastle. 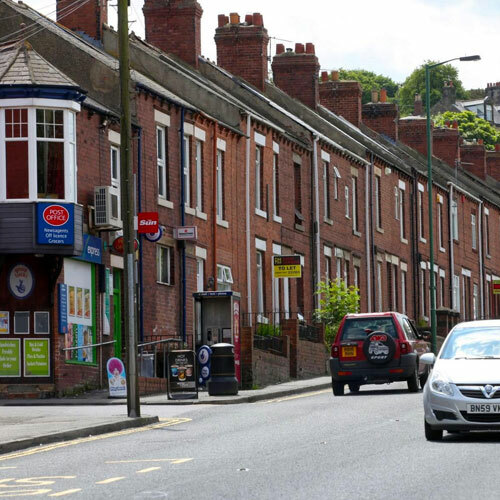 Stanley is seen as the cheapest place to buy a property in the UK.The town’s main shopping area, Front Street, is pedestrianised, housing independent shops alongside large chains such as Boots. A market is held on Front Street on Thursdays and Saturdays. 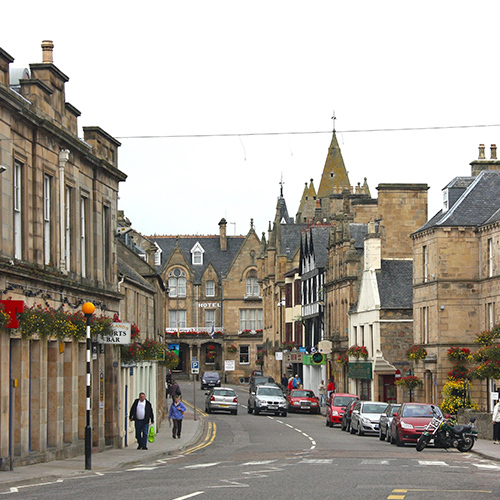 There are also supermarkets such as Asda and Iceland located within the town. As well as a number of primary schools, Stanley contains two secondary schools, North Durham Academy and Tanfield School, Specialist College of Science and Engineering. The town is also served by St Bede’s Catholic School and Sixth Form College, based in the nearby village of Lanchester.Stanley is very accessible and is less than five minutes from the main A1 motorway and is only 27 minutes from Newcastle International Airport. Bishop Auckland is a small town located in County Durham and is only 36 miles from Newcastle City centre. Known as the gateway to Weardale, Bishop Auckland is a bustling market town in standing high above a meander in the River Wear with commanding views of the surrounding countryside.Bishop Auckland is approximately half way between the popular tourist towns of Durham City and Barnard Castle but has often been overlooked by visitors in the past despite its beautiful castle, its handsome parkland and historic town centre.The town has three secondary schools—St John’s Catholic School, The Bishop Barrington School and King James I Academy. The town also has a college, Bishop Auckland College serving the Further Education and Higher Education fields. The rental demand in this area is very high and vacancy rates very low. 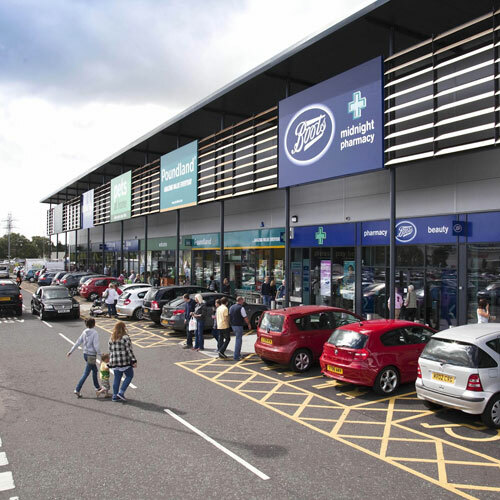 Bishop Auckland is seen as a very affordable housing market which has quick links to Newcastle an ease of access to the A1 motorway which is the main motorway in the North East. 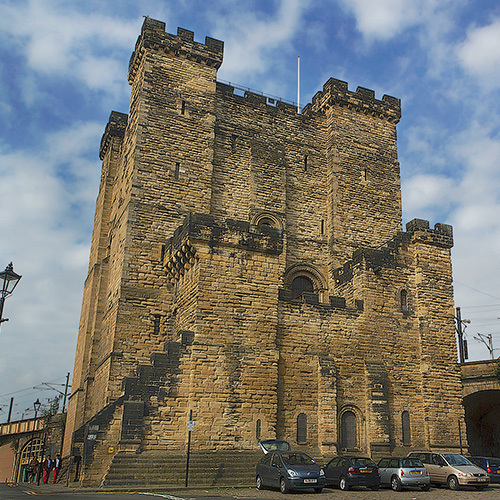 The nearest airport to the town is Durham Tees Valley Airport at around 19 miles (31 km) drive South-East of Bishop Auckland and the main international Airport Newcastle only a half an hour drive. The rental demand in this area is very high and vacancy rates very low. Hartlepool is a town in County Durham, England, the town lies on the North Sea coast, 7 miles north of Middlesbrough and 17 miles south of Sunderland. 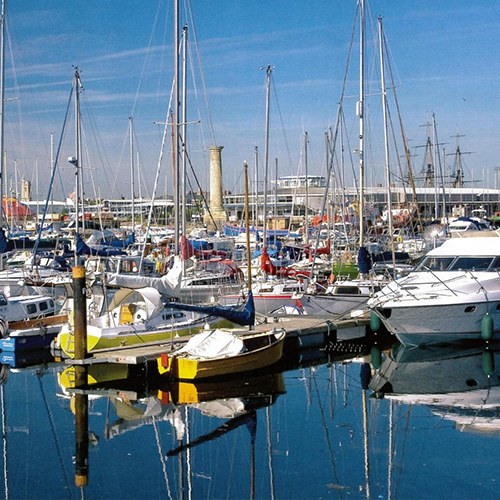 Hartlepool was traditionally a fishing town but has undergone recent changes which is making it more appealing for investors . The Economic Regeneration team and the Tees Valley Enterprise Zone have turned Hartlepool into a investment hotspot. Future developments include the Hartlepool Waterfront which will be developed as a landmark destination with a mix of civic, cultural, leisure and visitor attraction uses to complement the restaurants, cafes, bars and shops around Hartlepool Marina. Hartlepool is investing in its creative industries, providing a bright future for budding talent in this field. The Innovation and Skills Quarter (ISQ) aims to revitalise Church Street and develop a thriving creative industries quarter based around Cleveland College of Art and Design’s new campus.In January 2016, the Lottery Fund announced a £1.2million cash injection in to Hartlepool’s Church Street shopping district to order to “breathe new life” in to their area. This further reinforces the inward investment trend into the area following a £5.5million pledge from the Tees Valley Regional Growth Fund in order to achieve the latest local economic targets.Hartlepool still offers low property prices and good stable rents which are predicted to increase due to increased development and re-generation of this town. Consett is a town in the northwest of County Durham, and is perched on the steep eastern bank of the River Derwent, high on the edge of the Pennines. Its origins arise from both lead mining in the area and the development of the steel industry in the Derwent Valley. The Beamish Open Air Museum is a short drive away. Newcastle City centre is less than a 15 minute drive away and is considered part of the commuter belt, Consett offers affordable housing and a low cost lot living for people working in and around Newcastle City.This town has seen a lot of new development over the last few years, on top of all the housing developments (some still ongoing) there has also been major investment into the local amenities such as the new £44million sports complex built on Medomsley Road along from the old sports facilities. The Consett Academy was also given a Brand new £5.7million building that shares the leisure centre facilities.New industrial units are also to be built on the former steel works site, after the Project Genesis Trust secured investment of £358,968 from the Rural Growth Network (RGN) to develop bespoke business premises and offices on part of the site. Overall Around £200m has been invested into the Genesis site, including 1500 homes. Sports Direct and plans for a solar farm, although 35 years after the Company closed around 300 acres of the 700-acre site have been developed. Darlington is a large market town in County Durham, 45 minutes from Newcastle City centre. Darlington has been subject to increasing amounts of inward investment in recent years with the completion of large scale local council sponsored schemes. The town centre has undergone a full refurbishment entitled The Pedestrian Heart, which has seen the majority of the town centre pedestrianised. EE are the largest private sector employers in the town, hiring 2,500 people. Another major employer in the area is the English division of the Student Loans Company, Student Finance England. Darlington is also home to many businesses within the modern and developing industries including Information Technology. With large firms such as Infoserve Ltd having offices within the Morton Park area to the east of Darlington, located next to the A66 Darlington Eastern Bypass.Darlington has excellent road transport links with the North East’s major trunk route the A1(M), which bypasses the town to the west. Darlington railway station is an important interchange stop on the East Coast Main Line and has regular services to London Kings Cross, Leeds City station, Edinburgh Waverley, Manchester Piccadilly, Manchester Airport and Newcastle. Durham Tees Valley Airport is 5 miles (8 km) east of Darlington town centre and serves County Durham and Teesside. Darlington is a world class business location that offers a great place to live, work and visit, some sources say that Darlington is the next untapped Goldmine of the North East. 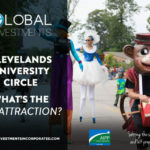 WHY CHOOSE GLOBAL INVESTMENTS INCORPORATED? 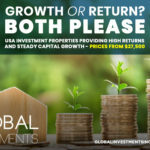 With years of experience in the US buy to let market gives Global Investments Incorporated a unique advantage in identifying the most profitable opportunities for our investor clients. We make it very easy for our investors by doing the proper doing the correct and proper due diligence and making sure that you are provided the correct information and statistics in order for you to make an informed decision. Global Investments Incorporated works with brokers and asset management companies on an exclusive basis. We take you direct to the source in the US ensuring that you are paying the correct market value for the property with no hidden profit or commissions. We identify the most profitable and best-located properties on a daily basis in every city we work in. As a company our philosophy has always been based on communication. We understand that your property can be thousands of miles away and you want to know that there is a voice at the end of the phone whenever you want to speak to someone, whether it be night day. We will always ensure that wherever you are in the world a member of our team will be in contact with you within 12 hours. We also regularly travel to each corner of the globe and sit with our investors for one on one meetings. When it comes to the buy to let market in the US, Global Investments incorporated want rte ensure that our investors have complete peace of mind and every angle covered. We provide full on the ground management and support, home warranty and insurance, accountancy, LLC and bank account set up, foreign exchange services, and legal advice. At Global Investments Incorporated we are passionate about our company and our investors and look at your first investment as the start of a working relationship. A large percentage of our business is repeat and referral clients, with many of our investors buying small and large property portfolios. We like to think that we are different to most other companies bringing a very personal touch to your investing. Global Investments Incorporated is always looking towards the future. The US buy to let market will continue to change with new opportunities arising in different states over the coming years. You can be assured that Global Investments Incorporated will be there first and our completion will then follow.